Posted on September 5, 2016 by Tom Richardson Posted in Cell phone & Computer Monitoring Reviews . XnSpy can become a sensible solution if you’re looking for a chance to constantly control your kid being mostly far away from you or to keep track of your employees. Read further if interested in functionality and pricing. One of the most trusted apps in the world of tracking. 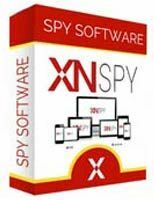 XNSPY a functional monitoring system for smartphones and tablets. You can use it if your kid’s under 18 years if you want it to stay legal. You can also use it to be aware of the activities of your employees (but don’t forget that this point should be a part of their signed agreement). The app is extremely easy to use and you won’t need any special knowledge to navigate it – just five minute for the direct installation and that’s all. Get info about incoming and outcoming calls plus the contacts. Follow instant messengers like Facebook, Viber, Skype, Whats App and more. Use GPS to get the location of the target device and its owner, get location history and receive custom alerts. You’ll also be able to keep track of specific locations and be notified about them. Check e-mails and browser history on a target device. Listen to live conversations and record them. You’ll also be able to turn on the microphone of the target device to hear the sound of surroundings. You should take care of the legality of your actions before you start doing it. Have access to the calendar and see the important dates. Full remote control including apps blocking, lifetime screenshots and wiping away the data. Alerts on the change of SIM card. Custom alerts depending on your preliminary set up. You can always get help on the official resource. Stay connected to the communities of social networks or call one of the specialists for full instructions on the topic. The basic info is usually kept in the FAQ’s. The installation guide is also on the official webpage. For more you can get to the Live Chat or contact one of the agents by e-mail. Situated the right bottom corner of the official webpage. Here you can freely ask your questions while surfing through the pages of the site. The experienced specialists will always help you with financial, installation and navigation issues. The app has a free demo version but it’s gonna be seriously restricted – great way if you’re a newbie in the world of tracking applications or for the one who has no idea what app to choose. The pricing varies from $9 to $60 depending on the period of time you need the subscription. Works with all versions of iOS and Android devices. Acquires direct installation only. Doing this remotely is impossible. After the installation, the remote control is realized through Web-based Control Panel in your browser rather from your personal computer or from your mobile device. You’ll receive reports and notifications on your e-mail. Well-designed and easy to use even if you’re new to the world of spy apps. Reasonable pricing and various ways to pay depending on the period of time and the version of the app. Cool rare features and customization. Works for iPhones without jailbreaking (but needs direct access to the target device). This makes it extremely popular among iPhone users. The support is sometimes slow. But who cares if the functionality and the pricing are just perfect? Well worth spending your money on it. The reputation and the feedback is mainly positive so there’s nothing to worry about. The app itself is as easy as pie – you won’t have to spend hours on installation and customization. Allows not to jailbreak your device. There’s also a live demo version on the official website so that you can see the way the app works. The price is great and the functionality is just perfect.